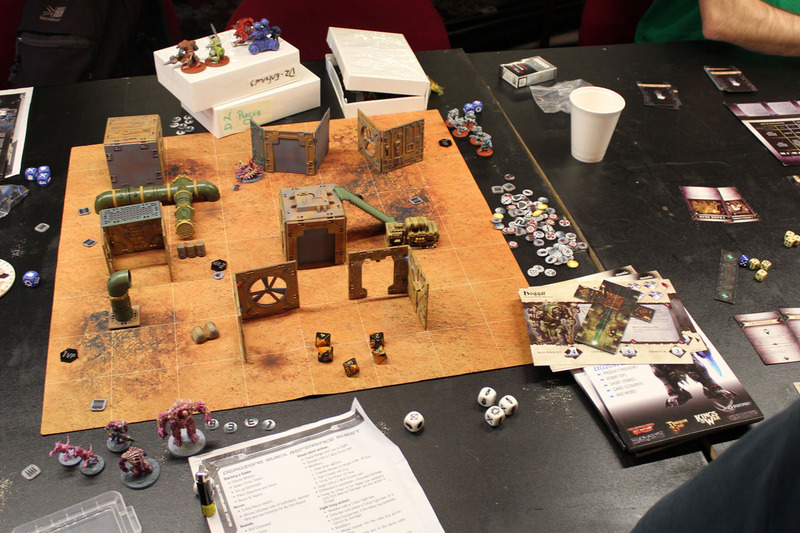 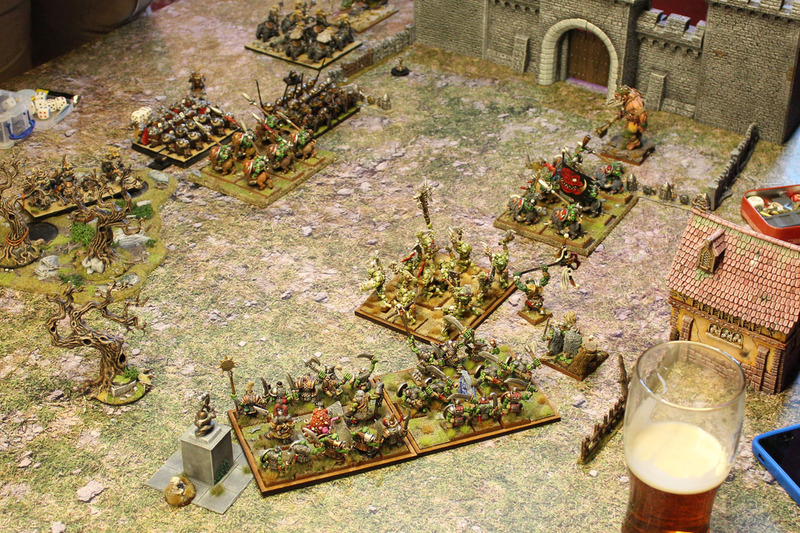 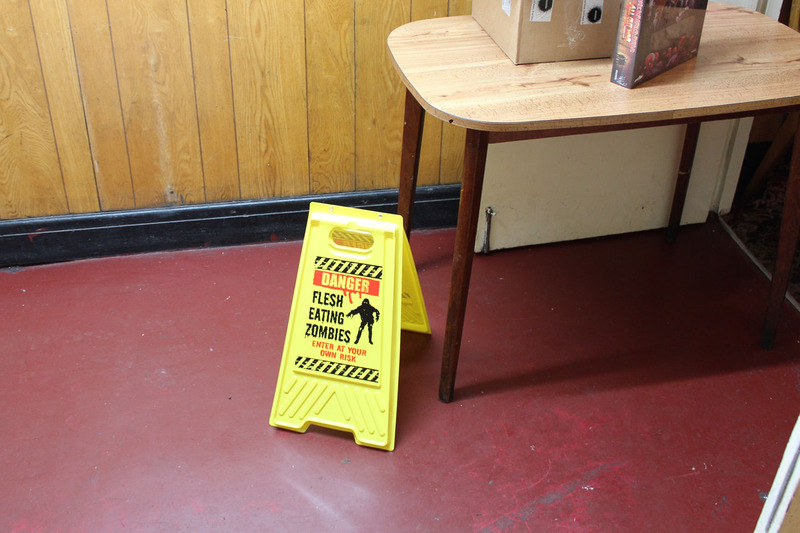 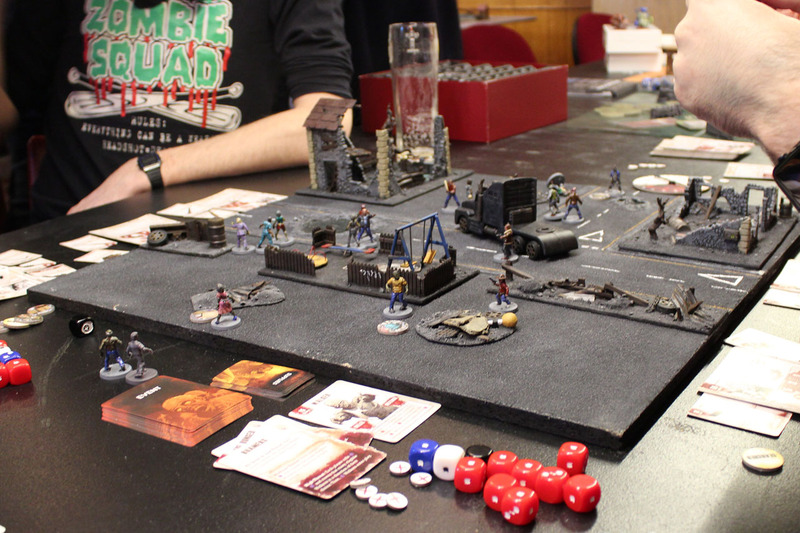 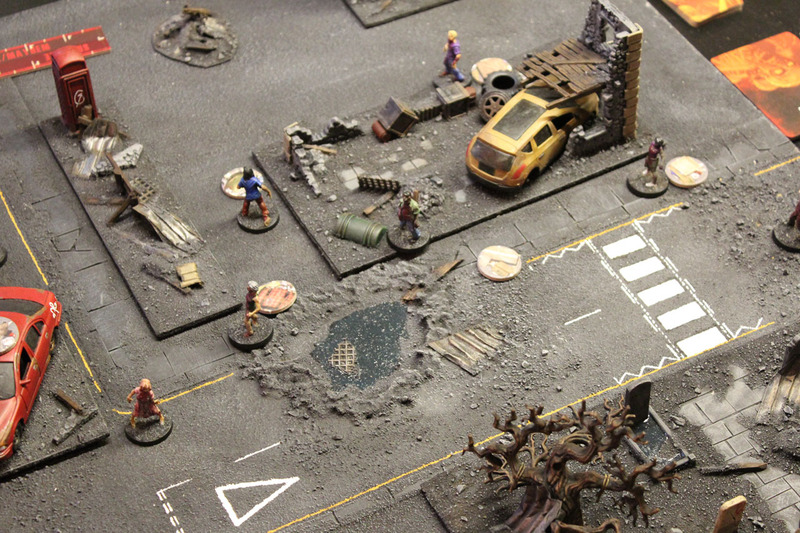 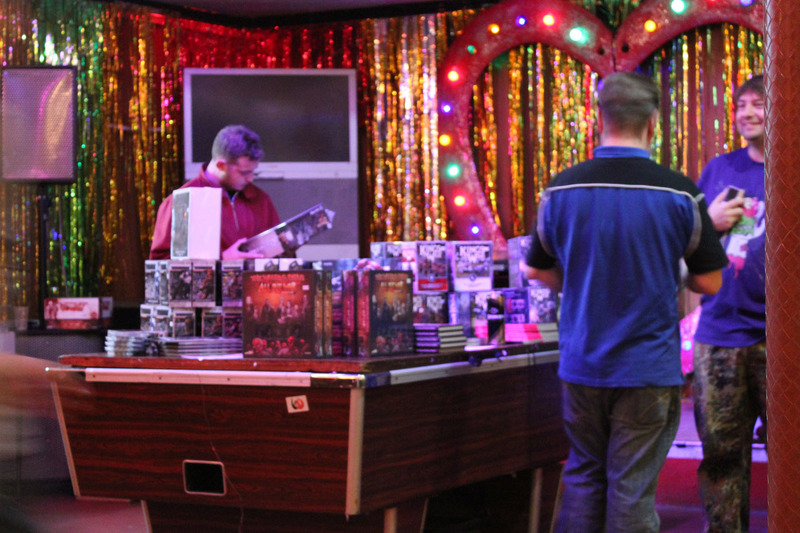 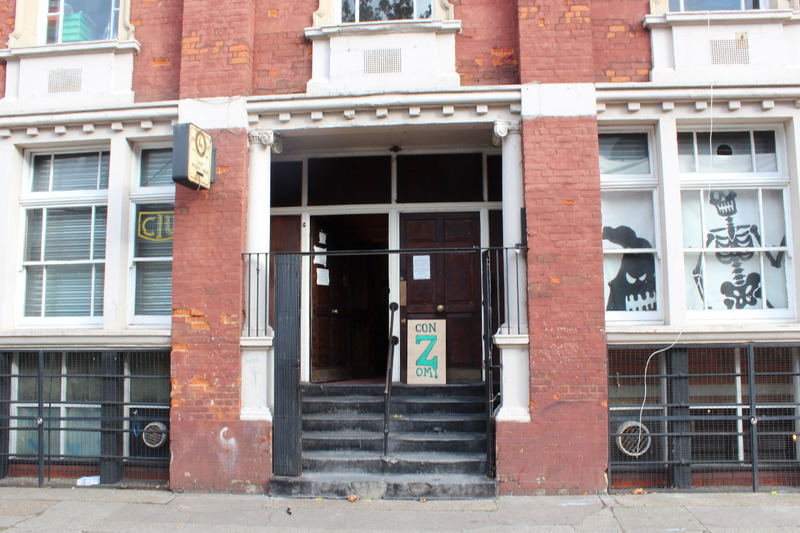 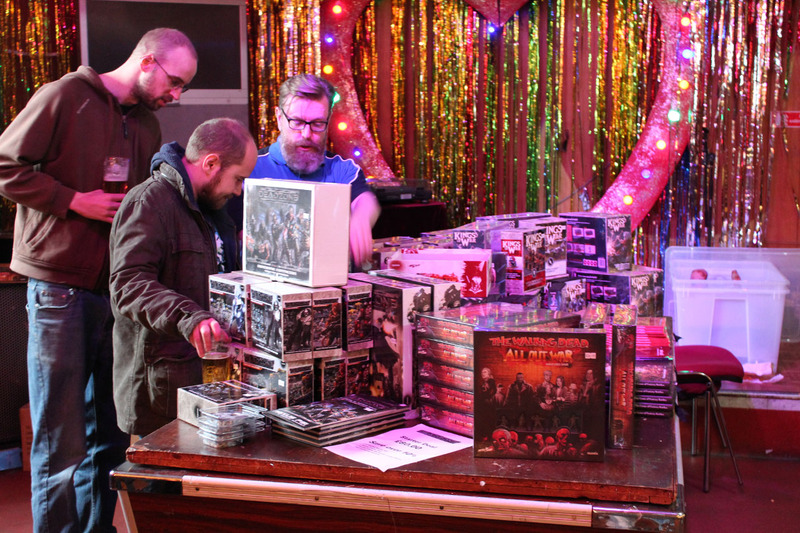 Last weekend the HACKNEY AREA TABLETOP ENTHUSIASTS held their HATE Con Zom at Bethnal Green Working Men's Club in London. 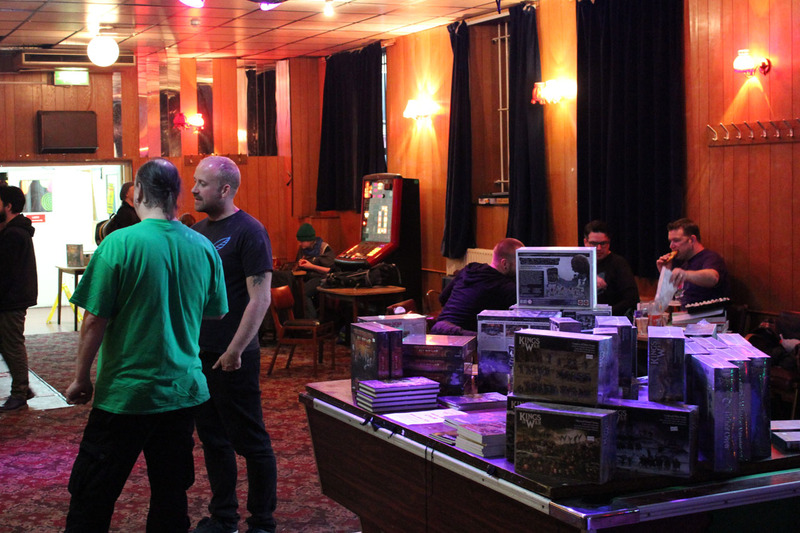 It was the third event of its kind and the HATE Club is very happy to have a location in London. 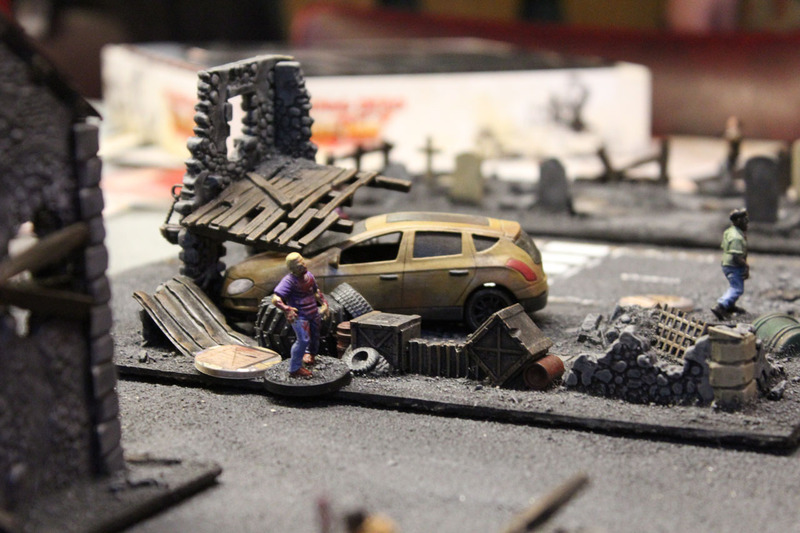 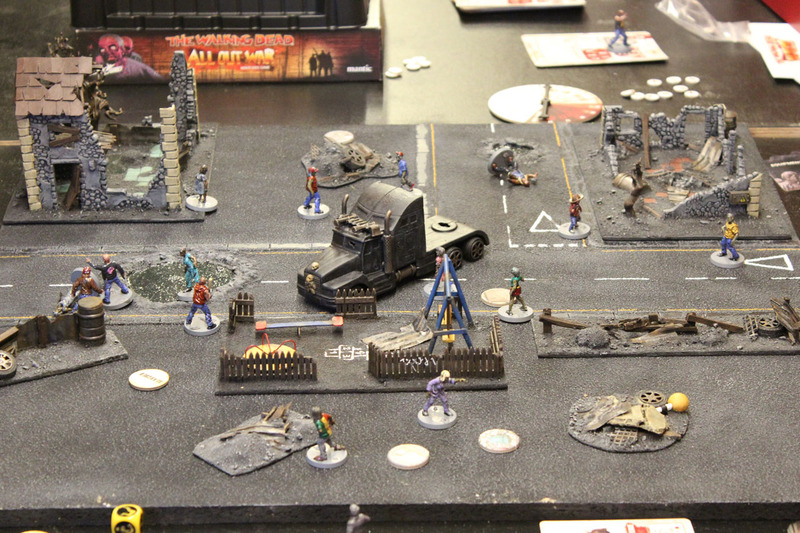 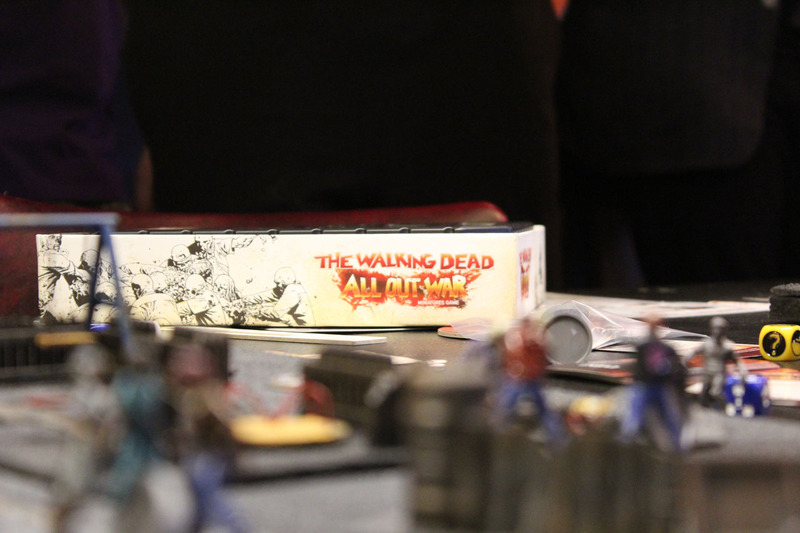 Taking the recent delivery of the new The Walking Dead board game by Mantic as a reason, they gathered and played a few rounds from the Mantic Range. 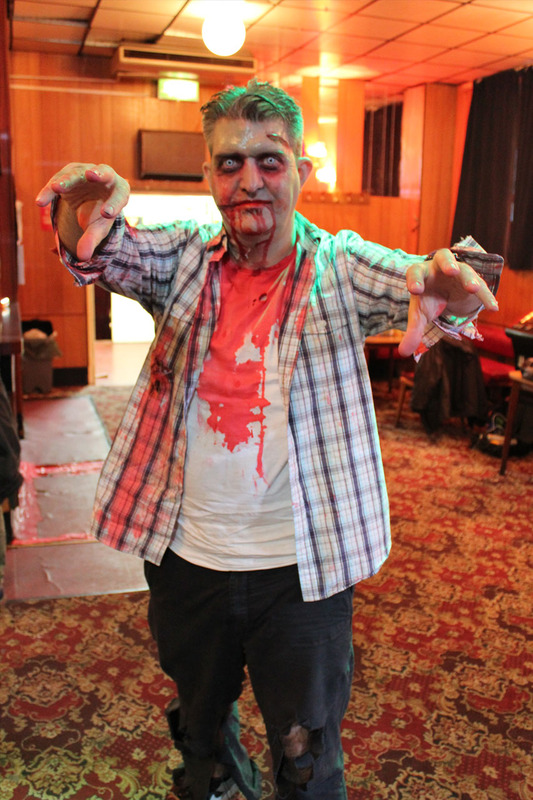 Of course, with the Zombie topic very present, Walking Dead was the main attraction. 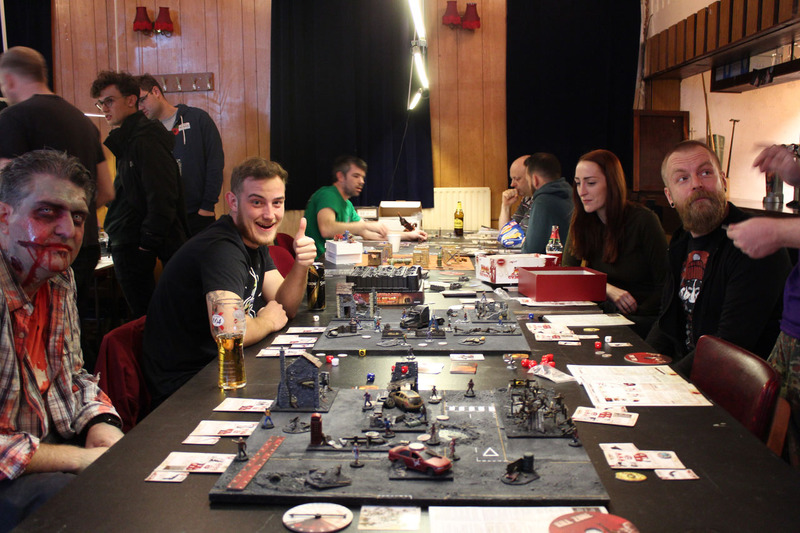 Andy, the host of this event, even brought along his own Zombies vs. Cowboys rules (image right above). 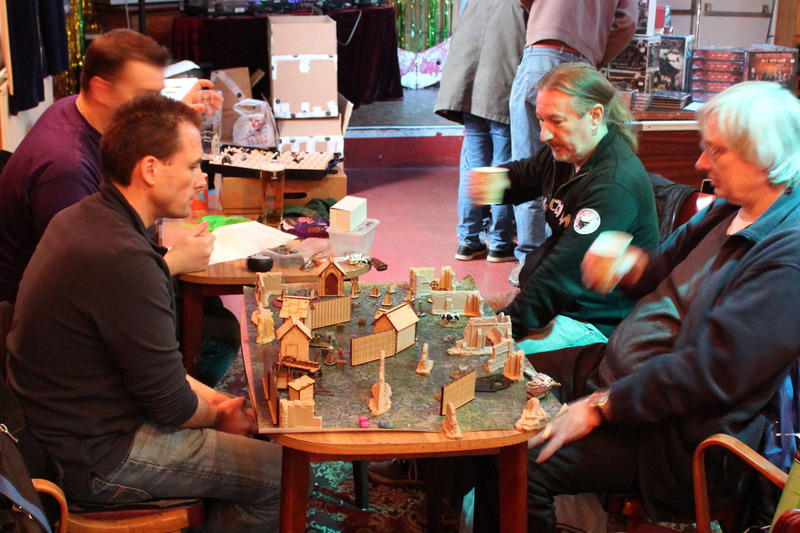 But Mantic is more than board games and Kickstarters, so it wasn't a surpise to see people play Kings of War, Deadzone or Dungeon Saga. 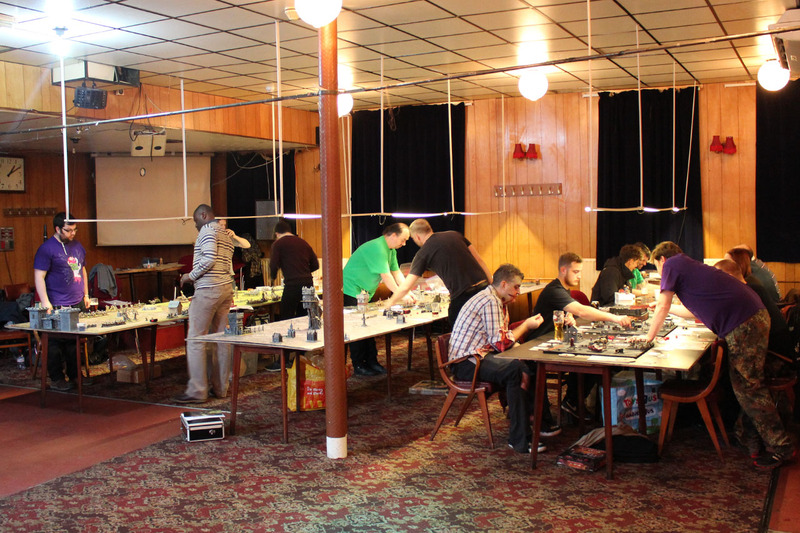 At early afternoon the small event already had between 50 and 100 visitors, and Andy, who organized this event was very satisfied with the feedback so far. 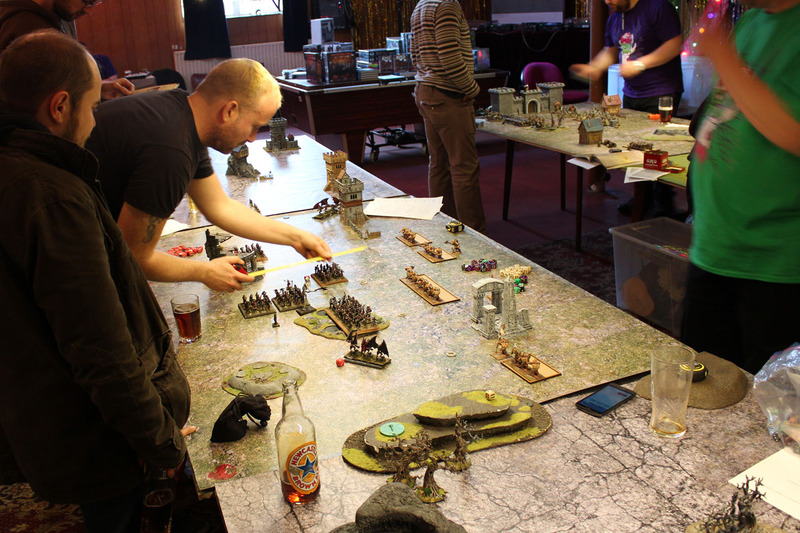 We can only recommend to participate if you have the chance, as the athmosphere was very informal and familiar. 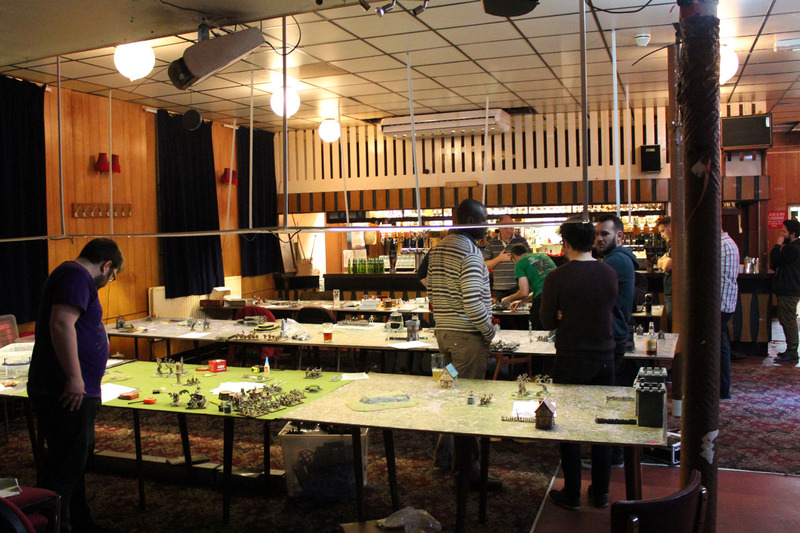 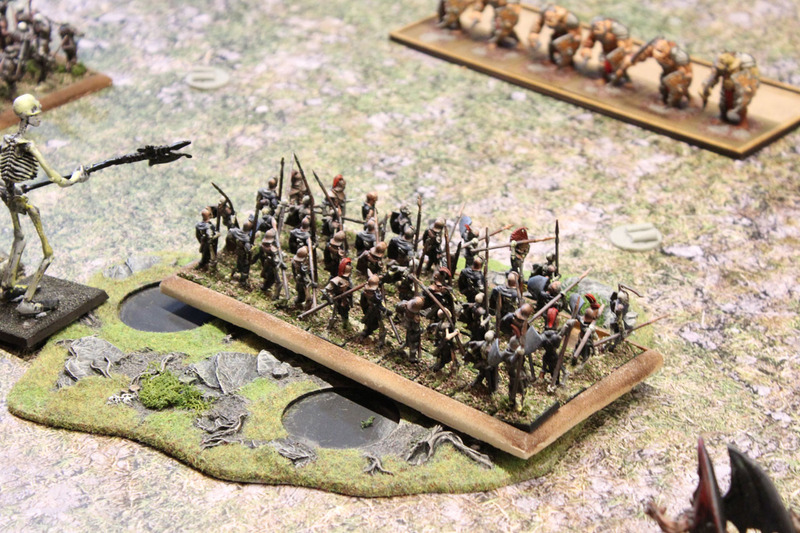 Visit the link below to find out more about the wargamers from Hackney.